Medtronic plc (www.medtronic.com), headquartered in Dublin, Ireland, is a global leader in medical technology, services and solutions – alleviating pain, restoring health and extending life for millions of people around the world. Medtronic employs more than 85,000 people worldwide, serving physicians, hospitals and patients in approximately 160 countries. 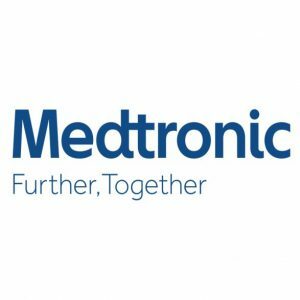 Coulter: Pulse – Please can you give us some insights into the main challenges and opportunities that Medtronic currently faces in the Med Tech arena? Philippe – A critical factor for Medical Technology companies and for Life Sciences worldwide at this time is the acceleration of the ageing population. The huge growth in the over 65s bracket has had significant implications in terms of more people to treat and new treatments for new diseases. Add to this the question: who is going to pay for this treatment? Many economies are ill-equipped to deal with this challenge. They simply cannot afford to cover these costs. Health insurance providers want to see convincing clinical data in order to make decisions on which are going to be the most cost effective solutions. The health economy is therefore an important driving force for Med Tech and we are well-positioned at Medtronic to provide the sort of evidence and clinical data that many smaller companies just don’t have the scale to deliver. Innovation is also critical and we are investing in ever more cost efficient solutions, quicker processes and procedures in order to make an impact. Some of our breakthrough innovations include, for example, the world’s smallest pacemaker (Micra – transcatheter pacing system). The benefits of such innovation and the clinical evidence need to be transparent to the healthcare insurers and providers and we are committed to delivering the technology available as cost effectively as possible. Picture shows a comparison of the size of Micra versus a standard pacemaker. We are also forging new types of relationships with healthcare providers and payers who are committed to building models that improve patient outcomes and reduce costs. We are working closely with hospitals to make them leaner and more operationally efficient, managing their processes for them and augmenting the delivery of care through better patient care management. We can also manage their inventory as well as their processes and so remove some more of the burden on them. Since the acquisition of Covidien we have an even broader portfolio of products to cover a larger spectrum of needs and are building long term relationships with healthcare providers. Our Integrated Health Solutions team, for instance, drives healthcare efficiencies by better managing cardiac catheterization (cath) labs inside hospitals, making them more efficient so that more patients can be treated with the same equipment. Crucial to our sector too is how we interconnect the platforms and products, and integrate data management so that systems all talk to each other. Data management is key in our industry. In order to provide valuable information to physicians and effective solutions to patients, we have to reduce the complexity and the risks associated, and maximise connectivity. Design is therefore critical and of course reliable security of both device and data is paramount. Testing every innovation and design through rigorous clinical trials ensures Medtronic has absolute faith in the security and ability of their solutions to deliver. Covidien’s complementary product range and operational set-up meant that, despite the size and complexity of the two companies, the integration with Medtronic was smooth and relatively seamless. From a market share point of view the regulators had to be satisfied and subsequently, with some careful planning, the merger has delivered value, which is reflected in the current share price. I led some of the integration programme, drawing on my experience of M&A gained with other multinationals and I am delighted with the progress after a year and a half. 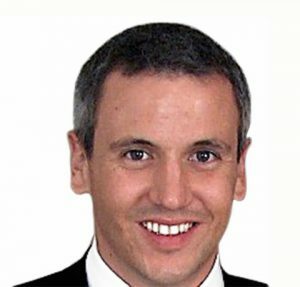 Coulter: Pulse – What do you see as the most promising opportunities for the Med Tech industry as a whole? Philippe – Emerging markets offer some interesting opportunities for Med Tech and we now have ongoing projects, in China for instance. The challenge is to enable products and solutions to be made locally for the local population. Brazil and China are among those who want to promote local Medical Devices produced locally. A great deal of investment in local production is needed to achieve comparable clinical results cost effectively. Other challenges are caused by the diversity of regulation. Patient numbers expected for clinical trials vary widely and delays are inevitable – sometimes up to 3 to 4 years in China, for instance. In some cases existing trials may be leveraged to accelerate product adoption. But generally these countries try to give local industry time to catch up. By comparison the pharmaceutical industry has an easier entry point than Med Tech. With a single molecule it is easy to have a generic product that can be produced anywhere. The main challenge for the medical device sector is where to source a product’s components and how to maintain quality. Sometimes there may be only 2 or 3 suppliers of a specific component worldwide. Or the specific skill set is missing to assemble the product. Direct entry costs in these emerging markets are therefore much higher for Med Tech companies in terms of technology. Coulter: Pulse – It would be interesting for us to know how important the “human element” is – i.e. attracting the right talent and leadership – in driving your business towards its goals. Philippe – Of course attracting strong talent remains very important to us at Medtronic. As a leader in the industry with a strong ethical focus we are able to attract very high calibre candidates. In some areas we are all competing in a limited pool of talent, however – for quality and engineering skills, for instance. But location is the biggest challenge. In emerging markets we need to shift technical functions closer to the market, where we are setting up operations, R&D and shared services. So functional skills and technical expertise may well be in short supply locally. A current project at Medtronic is to evaluate what the organisations of the future will look like. Value stream mapping feeds into our overall strategy and we recognise that to achieve leaner operations more flexibility is needed. Short term talent needs may also dictate increased flexibility. It is important to establish how people engage with the business values and objectives. Leadership strength is built on the alignment of individual and whole company objectives. So we evaluate how individual objectives can contribute to Medtronic goals over all. From a strategic operations point of view it is also important to decide how objectives should be deployed across the organisation. Performance management systems and investment in training remain important to our success as an organisation. 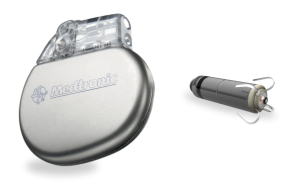 Merging the two cultures of Medtronic and Covidien, and getting the right fit was an interesting management challenge. Achieving a balance between two different corporate cultures was quite an achievement!